Decorating your first home involves many decisions, and although a very exciting task, it can sometimes be equally daunting. While you have the advantage of starting with a blank canvas, you also have to be extra careful with your budget, because of the huge scope of the task. 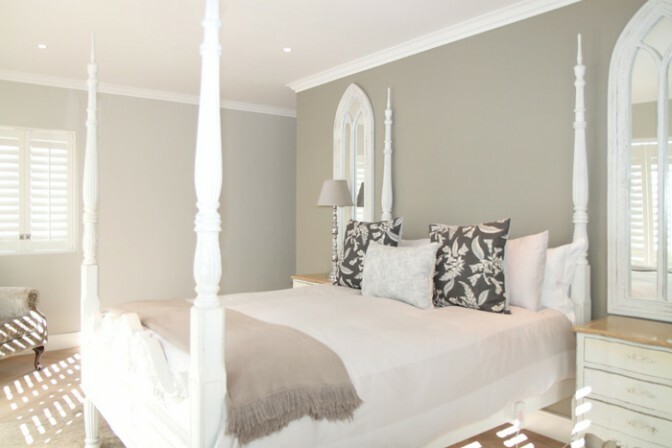 To help you with the task of decorating your first home, we are offering some advice on how to put first things first. Choose your decorating style before you spend a cent. If you are unsure how to categorise your taste, search for visual inspiration in magazines and online, put together a mood board using cut-outs and print-outs, do some window shopping and take some photographs of your own; then with all this information at hand put together a decorating plan focusing on the most important furniture and finishes first. Set a budget and make considered purchases. This does not mean buying cheap, it means buying wisely. Invest in good quality pieces that will last a long time especially furniture that will get used often i.e. bed, sofa, dining table and chairs, appliances. Quality over quantity; rather buy the necessities first and then collect accessories and other non-essential items as and when you have extra funds. 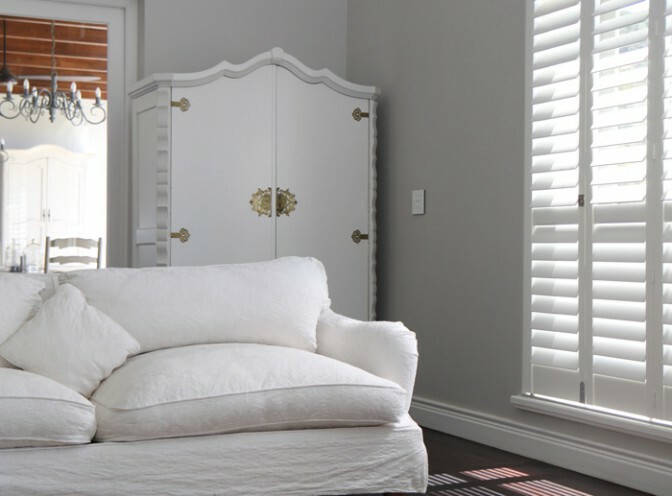 Avoid buying items that will date such as trendy fabric curtains and accessories, rather opt for shutters and blinds in neutral colours or natural wood finish as they will not date, and will complement whatever décor style you choose now and in the future. 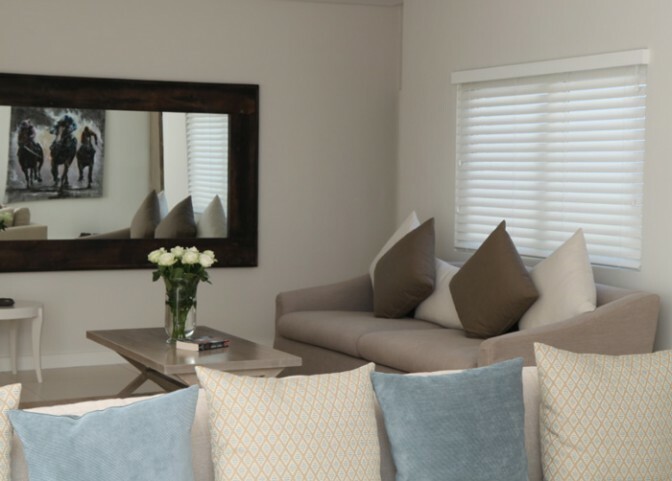 AMERICAN shutters’ Decowood shutter range is ideal for first time homes; it is their most cost effective range and their most eco-friendly. Learn clever cost effective décor tricks such as using mirrors to make a space look larger or reflect a stunning piece of furniture or art, or reinventing second hand furniture such as an old sofa with a beautiful throw. Don’t skimp on lighting, everything looks better when properly lit. Supplement your basic ceiling lighting with a standing lamp to highlight focal points in your décor, and where possible make the best of the natural light available. Shutters and blinds give you ultimate control over how much natural light is let into the space. They are also ideal for temperature and ventilation control. Don’t neglect your outside areas. 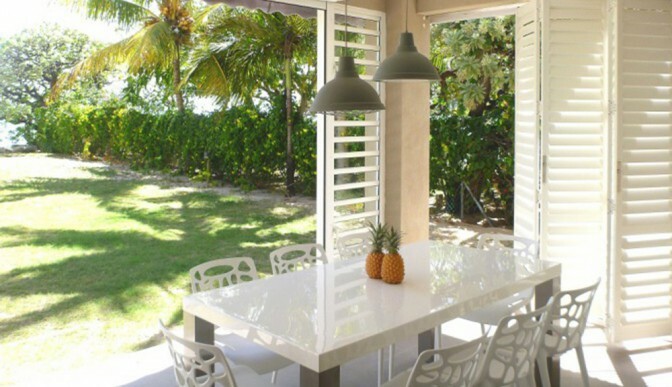 Make the most of all the space your home has to offer and be sure to create an outdoor area that is as lovely as the inside of your home, with our security aluminium shutters. And lastly, get stuck in. Roll up your sleeves and do a bit of DIY, the satisfaction of a beautiful space you had a hand in creating is so much sweeter.